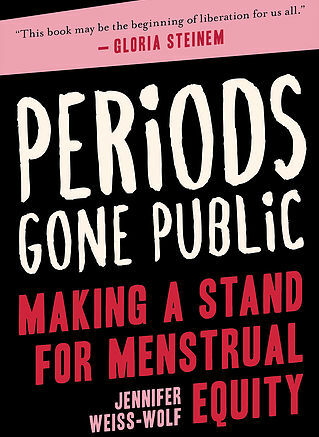 Jennifer Weiss-Wolf is the author of the new book Periods Gone Public: Taking a Stand for Menstrual Equity. A lawyer and vice president for the Brennan Center for Justice at the NYU School of Law, her work has appeared in a variety of publications, including The New York Times and The Washington Post. She lives in Maplewood, New Jersey. Q: Why did you decide to write this book, and what has changed regarding attitudes toward menstruation in recent years? A: I stumbled on this. I don’t think anybody wakes up and actively thinks about menstruation, which is part of the problem. I simply saw a post on my Facebook news feed about two kids in the community who were collecting tampons for a local food pantry. I thought about how I never think about this but it makes perfect sense. Access to products can be challenging, and menstruation is such a maligned or off subject. The last thing anybody wants, whether you’re woke or feminist, is to be bleeding on yourself when that’s not your intention. That was a lightbulb moment. It was New Year’s Day 2015, and I had just done a swim in the Atlantic Ocean dressed as Wonder Woman with friends for fun. I had way more energy than if I had heard about it on another day in March. When I wrote an essay [about the issue] it catapulted me into this space. The activism of the past couple of years [wasn’t there] in January 2015. By day I’m an attorney and advocate. I work for the Brennan Center for Justice, affiliated with the NYU School of Law. I think about how to advance change and see democracy live up to its ideals. Why do we have collection drives? Why weren’t we thinking about this as a systemic issue that could be affected by policy changes? I started thinking of it as an equity and education issue. Our bodies are not the exception but the rule. This is a matter of civic participation. I thought our politicians might be likely to respond to that. I kept writing. Until the media started reporting on it, I figured I would write. [The writing appeared in] high-profile places, and legislators started contacting me. A book publisher contacted me one day, saying, We’ve been noticing this. I wasn’t the only one thinking about this in 2015. Before we knew it, on New Year’s Eve 2015, NPR said we’ve achieved the Year of the Period, based on activism. By mid-2016 we were scoring legislative victories. Laws were being passed that would encourage access to products. I’d never written a book before. People advised me it would be like writing a lot of these essays. I decided I really wanted to be the one to tell the story. Q: How was the book’s title chosen, and how does the title relate to the stigma surrounding periods? A: The title, the cover, the art are all very deliberate. There was no question the word “period” was going to be loud and proud on the cover of the book, advancing the discourse. It’s not in your face, but it’s not going to be delicate about it. A Newsweek cover story in April 2016 was called There Will Be Blood. Let’s put that in the middle of all the other publications. It’s the same with the book cover. Periods gone public is a phrase I used a lot. It seemed a little Wild West, taking a stand for menstrual equity. You get a sense of what you’re in for when you see the cover. We chose pink before the March on Washington. I tend to think we got that right a little ahead of the curve…The book has a resistance feel to it. Donald Trump has put himself out there as enemy number one with his words and actions. With menstruation, he’s the first presidential candidate to tussle with the media over the question of menstruation. There’s a lot to the cover, I think. And I’m so grateful Gloria Steinem supported this work. Q: Yes, I was going to ask you what you think the Trump administration’s impact has been on many of the issues you describe in the book. A: My answers have evolved over the course of the past nine months. It feels like nine years in terms of how quickly issues whirl around us. Right after the election, there was a piece of me that felt we had picked up so much traction over two years, and I started to despair that the issue would be thrown by the wayside, it would feel too small with the tidal wave of issues and concerns that the Trump administration poses toward women’s rights, women’s bodies, civil rights issues. Who was going to care about a tampon tax compared to fights for our lives? I went back to when Trump made the blood coming out of wherever comment to Megyn Kelly, how swift the response was. He really did insult so many, an entire swath of the population, and people weren’t afraid to put periods out there in the face of a juvenile misogynistic taunt. As the assaults began to pile up, the contraceptive access, undoing the Mexico City deal, the House passing the 20-week abortion ban, statehouses and governors emboldened by the rhetoric to pass equally bad laws in states, I feel we have something with the menstrual movement. Maybe it catches people off guard. The menstrual policy agenda is very uniquely bipartisan. Illinois and Florida passed new legislation in the past year; both have Republican governors. Among the most recent advances, this summer the Bureau of Prisons issued guidance [providing] menstrual products to federal inmates. This is Jeff Sessions’ Department of Justice. It’s utterly radical. If it’s a signal to other Republicans that they have cover, that’s a good thing for us. If this is one place we have bipartisan support, that’s a good sign for an otherwise toxic political agenda. Q: So what do you see looking ahead? A: Looking ahead, I have two distinct ideas about how we continue to leverage advances. One, continue doing the same. The question of the tampon tax, exempting menstrual products from the sales tax, 24 states have introduced legislation in the past two years. The goal is to have all 50 states not taxing menstrual products. The legislative push for menstrual access will continue. In New York City, we succeeded in introducing and passing three laws that made menstrual products freely available in public schools, shelters, and corrections facilities. Many more states and cities are replicating that legislation, from Los Angeles to the state of Colorado. Just in the past week California passed a law to make menstrual products freely available in all public schools. Illinois did the same. Two, this is going much further than continuing with the agenda that’s already activated. In addition to putting menstrual access first, I want to flip it on its head and look at the laws, and have a paradigm shift where lawmakers look at the laws and see that half the people who live by these laws have bodies that menstruate. I take nine areas of public law and life, and examine ways the laws could look different. By no means is the agenda limited to the areas I describe in the book. You could take it to every area of life. Q: Are you planning to write another book? There is a book coming out this spring from Henry Holt, a collection of essays from public figures—writers, activists, 12 of us wrote essays. It’s called Periods: Twelve Voices Tell the Bloody Truth. It’s a slightly different audience. Periods Gone Public has a pretty wide-ranging audience. I would like to see schools include it in their curriculum. Students in high school and college could hopefully be ignited by reading this. 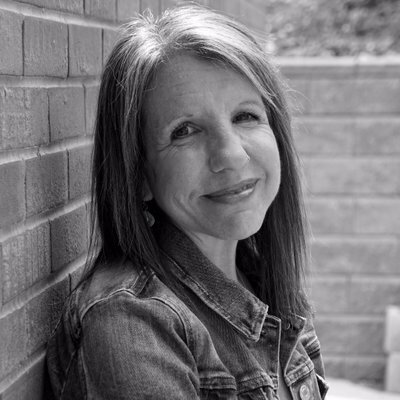 I turned 50—my contemporaries are loving it. They’re inspired by my second lease on life. Lots of people can read this and think about the issue, and become accidental activists. A: I came at this with my own background in law and policy. That’s what I thought I’d bring to the table. But there are so many activists in this movement who have a variety of skills that are so grand and far-reaching—musicians, photographers, athletes, people who love doing collection drives. There’s a place for everybody in this movement…I hope people read this and see it as a call to action.